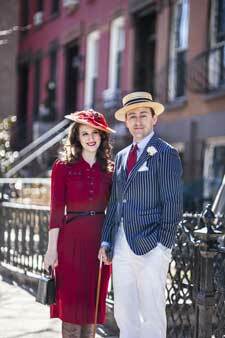 My Vintage Love Party this Saturday, June 28th! 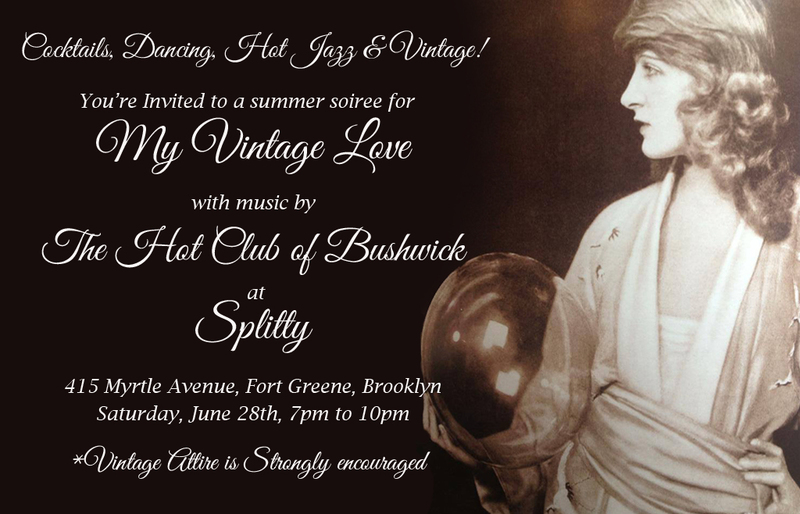 If you’re in NYC this Saturday, June 28th, please stop by Splitty in Fort Greene, Brooklyn, for the My Vintage Love summer soiree! The Hot Club of Bushwick will be playing some great hot jazz for your listening and dancing pleasure and the bar will be serving hot buns and cool drinks. Of course vintage attire is strongly encouraged, so there will be some lovely vintage-attired folks there, and hopefully you’ll be among them! We had a great time at the first party and hope to see you at this one! It will be a lovely evening!